The people who work at Monarch Retirement Group not only have the knowledge and experience to help you pursue your financial goals, but they also happen to be extremely great folks, too! Our staff is always ready to address your concerns, answer your questions, and put you at ease. Mike Lambrix is a Registered Representative with Commonwealth Financial Network® and founding member of Monarch Retirement Group. 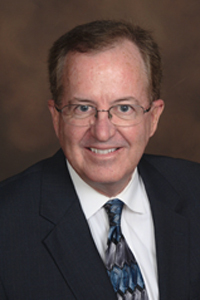 He specializes in retirement planning with experience in benefits, finance, and financial services. For more than 25 years prior, he has held positions with Bank of America as a senior vice president and as an Investment Adviser Representative for The Retirement Group. Mike has also consulted with thousands of employees from major corporations such as AT&T (PacBell), Northrup-Gruman (TRW), Verizon (GTE), Qwest (US West), and Bank of America. His experience and skills are invaluable in helping individuals “navigate the future". Mike was featured in San Diego Magazine for being selected as a Five Star Wealth Manager* for 2015, 2016, and 2017. 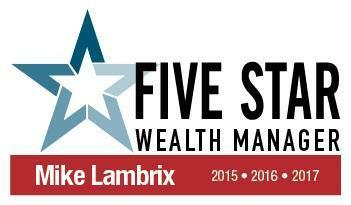 The Five Star program represents and acknowledges an exclusive group of wealth managers who provide quality services to their clients and is the largest and most widely published financial services award program in North America. *Based on 10 objective eligibility and evaluation criteria, including a minimum of 5 years as an active credentialed financial professional, favorable regulatory and complaint history, accepts new clients, client retention rates, client assets administered, education, and professional designations. 1,354 San Diego wealth managers were considered for the award; 349 (26 percent of candidates) were named 2017 Five Star Wealth Managers. (The criteria provided reflects the most recent year for which advisor received the award. The criteria used, the number of wealth managers considered for the award, and the percentage of those who receive the award may vary from year to year.) These awards are not indicative of the wealth managers' future performance. Your experiences may vary. For more information, please visit www.fivestarprofessional.com. Megan is a Registered Representative with Commonwealth Financial Network® and a member of Monarch Retirement Group. Prior to affiliating with Commonwealth, she held positions in retail banking at Wells Fargo Bank and Bank of America, working for more than 10 years in the San Diego and San Francisco Bay areas. In her last position with Wells Fargo Bank, as a Licensed Premier Banker, she specialized in assisting a portfolio of affluent households with a broad range of services, including, but not limited to, deposit-based, credit, investment, and fee-based products. Megan obtained her BA from the University of California, Berkeley, where she majored in sociology and minored in rhetoric. 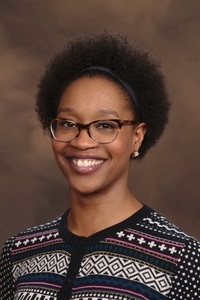 She is a CERTIFIED FINANCIAL PLANNER™ professional and currently holds her FINRA Series 6, 7, 24, 63, and 65 securities registrations through Commonwealth Financial Network, along with life, accident, and health insurance licenses. She also holds a Mortgage Loan Officer (MLO) license. Megan's educational background, paired with her many years of retail banking experience, gives her a unique perspective on and an understanding of her clients’ financial needs. James Galante is a Registered Representative with Commonwealth Financial Network® and founding member of Monarch Retirement Group. 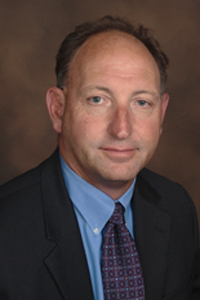 He specializes in retirement planning with experience in credit, finance, and financial services. James's experience includes having been a vice president at Bank of America and a registered representative at The Retirement Group; he currently is an investment representative with Monarch Retirement Group. James has consulted with thousands of employees from major corporations such as SBC (Pac Bell), Verizon (GTE), Northrup-Gruman (TRW), and Bank of America. For close to a decade, James has assisted and empowered countless clients to a successful retirement. 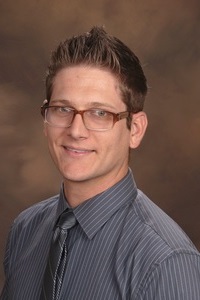 Adam is a Registered Representative with Commonwealth Financial Network® and a member of Monarch Retirement Group. He holds his FINRA Series 7 and 66 securities registrations along with his life, accident, and health insurance licenses. Prior to joining Monarch Retirement Group, Adam had worked for Bank of America for eight years. Throughout that time, he worked in various positions helping his clients meet their financial goals, whether using savings, investment, or credit products. In his last position with Bank of America, he held the title of assistant vice president and banking center manager for one of the largest Bank of America offices in the Coachella Valley. This broad financial experience enables Adam to provide a unique perspective to helping his clients meet their financial goals. Natasha is a Registered Sales Assistant with Commonwealth Financial Network®. She has worked in the financial services industry for 13 years servicing a client base with roughly $250 million in assets under management and currently holds her FINRA Series 7 and 63 securities registrations. Natasha is also a professional contemporary ballet dancer and choreographer. She has been dancing professionally for close to 20 years and choreographing for more than 10. 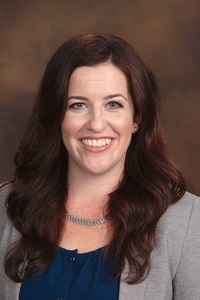 She holds a BA in psychology from San Diego State University, a master's degree in leadership studies from the University of San Diego, and is a San Diego RISE Urban leadership alumnae. Her many years of experience and commitment to serving our clients make her an invaluable member of our team.